The wealthier passengers had many advantages. 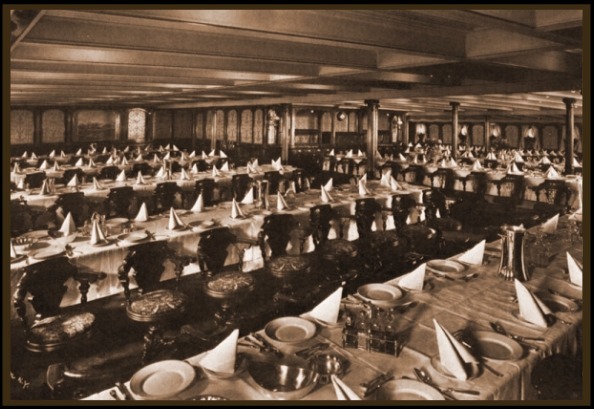 They were free to stroll the decks, and enjoyed meals and beverages delivered by wait staff to their grand tables. Some had the luxury of sleeping in a private stateroom. In contrast, the passengers in steerage had only one shared space to accommodate all their needs -- a windowless, plank floored area deep in the hull of the ship. There they would eat, sleep, and pass the time, no doubt sharing their dreams of new opportunities they hoped would await them at the end of their long voyage.